Surface Chemistry: the study of physical and chemical phenomena that occur at the interface of two phases, including solid–liquid interfaces, solid–gas interfaces, solid–vacuum interfaces, and liquid–gas interfaces. Surface chemistry can be roughly defined as the study of chemical reactions at interfaces. It is closely related to surface engineering, which aims at modifying the chemical composition of a surface by incorporation of selected elements or functional groups that produce various desired effects or improvements in the properties of the surface or interface. 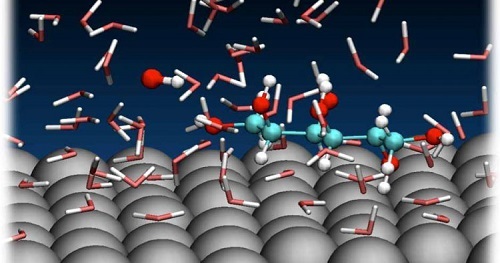 Surface science is of particular importance to the fields of heterogeneous catalysis, electrochemistry, and geochemistry.